Have you lost some of your Viber pictures on iPhone and have no idea on how to get them back? This can be a particularly problematic position to be in especially when you don’t have a backup of the photos. If you do have a backup, all you have to do is to restore the iPhone and the Viber pictures will be back on your device. 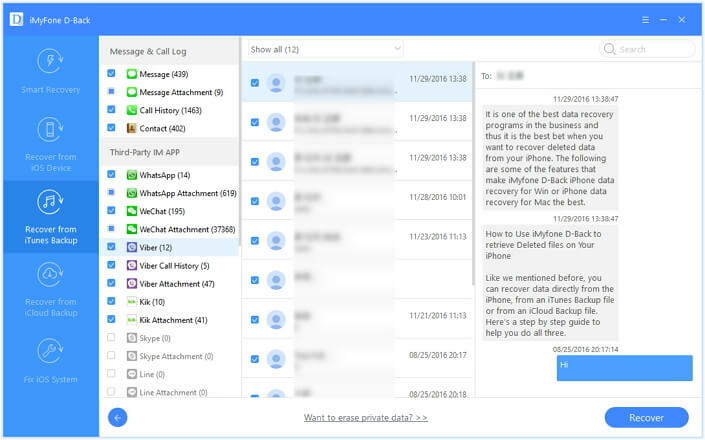 But sometimes even restoring a backup may not be the right solution especially when it means that you may lose some of the more recent data on your device. If this sounds like your predicament, worry not. We’re here with a solution that may help you get your pictures back, whether or not you have a backup. 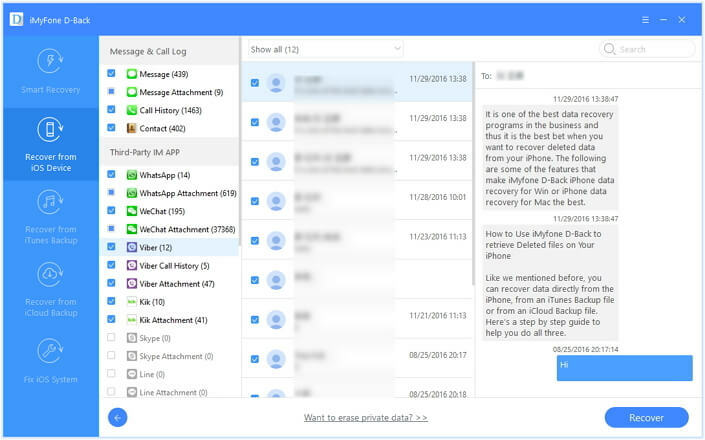 If you didn’t have a backup, or if you have a backup and don’t want to risk losing data on your device by restoring the device, iMyFone D-Back iPhone data recovery for Win or iPhone data recovery for Mac is the best solution for you. 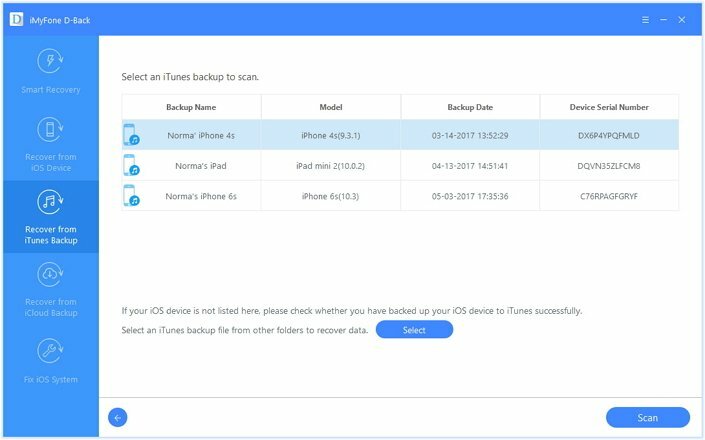 This data recovery tool will help you gain access to either an iTunes or iCloud backup to recover your pictures or recover them directly from your device, if you don’t have a backup. The following are some of its features. 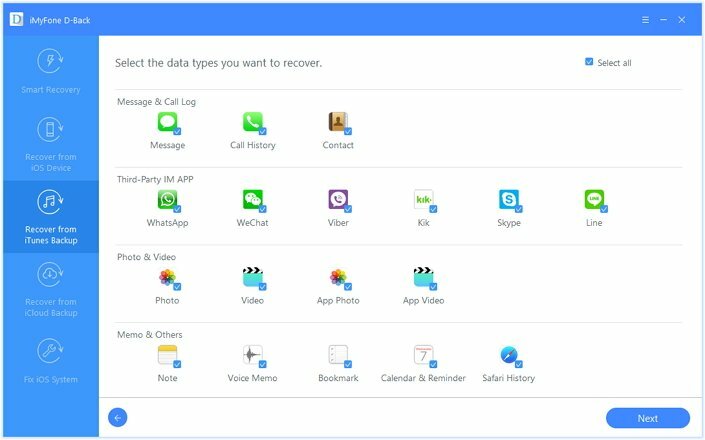 It is useful in the recovery of 22 different types of data including messages, photos, call logs, contacts and third-party app data such as WhatsApp, Kik, Viber, WeChat, Line. It is also quite effective when you want to extract all these types of data from an iTunes or iCloud backup file. 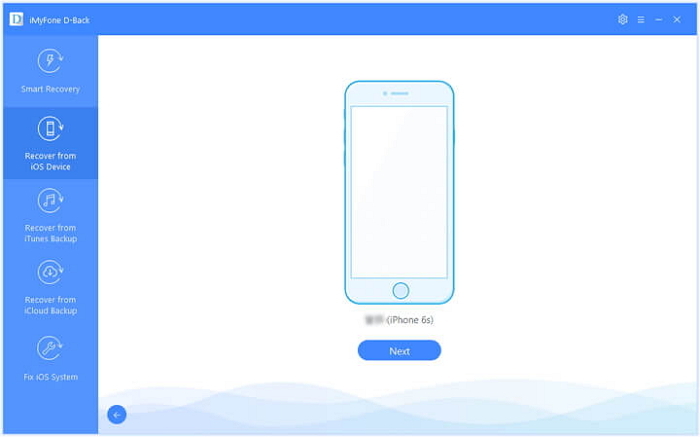 It comes with a preview function that allows you to selectively recover the missing data. It is fully compatible with the newest iOS 11/12 and iPhone 7/8/X! 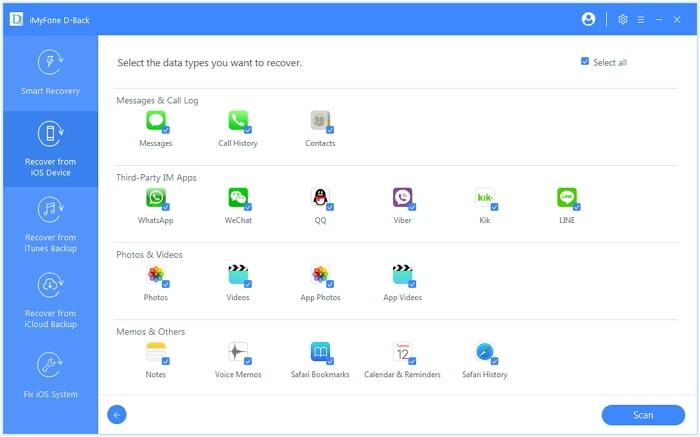 The following tutorial should help you easily recover your Viber Messages using iMyFone D-Back. Download and install the program to your computer and then follow these simple steps. Use this recovery mode if you don’t have a backup of the Viber pictures on iTunes or iCloud. Step 1: launch the program and from the main window select “Recover from iOS device.” Connect the iPhone to the computer using USB cables and wait for the program to recognize the device. Click “Next”. Step 2: Click “Start” to begin and then choose “Viber” and click “Scan” to continue. Step 3: Once the scanning process is complete, all the Viber messages should be displayed on the next window. Select the pictures you want (they should be under Viber Attachments) and then click “Recover” to save them to your computer. 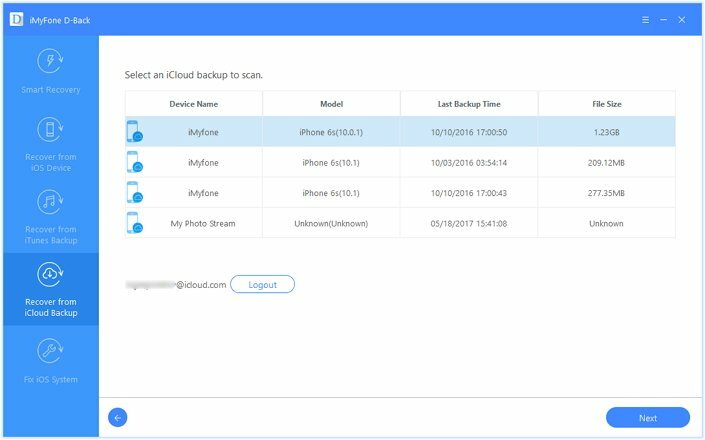 If you have a backup of the pictures on iCloud, follow these simple steps to retrieve them. Step 2: Sign in to your iCloud account and then proceed to select the backup file that contains the missing pictures. Click “Next” to analyze the backup file. Step 3: Once the analysis is complete, select the photos you need and then click “Recover” to save them to your computer. If you have an iTunes backup with the missing pictures, here’s what to do. Step 2: Choose the iTunes backup file that likely contains the missing pictures and then click “Scan” to begin analyzing it. Step 3: From the results page, select the Viber pictures and then click “Recover” to save then to your computer. 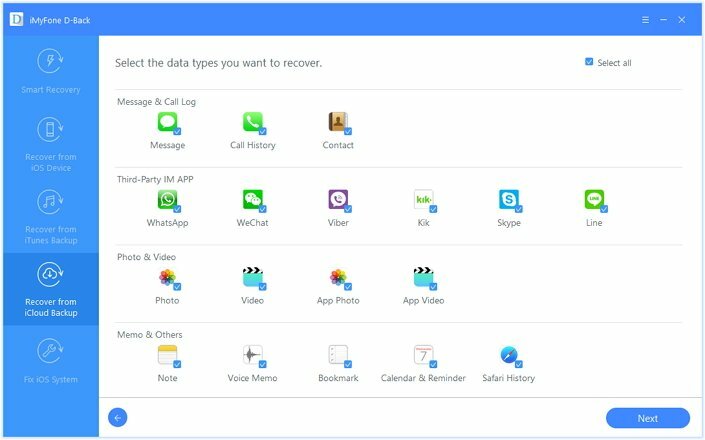 Download the free trial version of iMyFone D-Back iPhone data recovery for Win or iPhone data recovery for Mac to recover the deleted Viber pictures from your iPhone.